“They really explained the importance of a Will, Trust and Lasting Power of Attorney"
Although we don’t like to think about death, it’s important to be prepared for the sake of our loved ones and families. Most people have not created a Will and underestimate the impact of this once they are no longer here. If you die without a Will, this is known as ‘died intestate’ and the complex ‘laws of intestacy’ will govern the distribution of your estate. This often leads to unexpected, lengthy & undesired results which are likely to not be in accordance with how you would have wanted. For your loved ones, this may result in additional complications, uncertainty and expenses during an already emotional time. By making a Will, you are able to spare problems for your loved ones, make arrangements for your children and specify your wishes as to how your estate should be distributed. Not only does this help to protect the future of your loved ones, but it provide you with peace of mind and allows you to focus on today without worrying about tomorrow. The contents of a Will can cover a range of areas including appointing guardians for your children, ensuring your loved ones are looked after, appointing those you trust to manage your affairs, tax planning and choosing whether to be buried or cremated during your funeral. How can HSBS Wills & Probate Law Solicitors help you? If you have not written a Will, we can take you through the full legal process and highlight all the key factors to consider in addition to the different Will options available to you (such as Individual Will, Joint Will or Mirror Will). Once this has been discussed, we will carry out your instructions and draft the Will for your approval, before you sign it in the presences of witnesses. If you have already have a Will, we understand that the needs of both you & your loved ones may change over time and significant events may have taken place. For example, if you marry or divorce you may find that your Will has been revoked without even knowing so, whereas in separation this is not the case. At HSBS Law, we advise all our clients to regularly review their Will as the law and their family situation evolves. In instance where the contents of your Will are impacted, we will work with you to make the necessary amendments (via a codicil) so that your wishes are still reflected. Once the process is complete, you can rest assured that your savings and possessions will go to your loved ones and that they will be looked after as you intended. With a carefully planned Will, you may also be able to significantly reduce the Inheritance tax liability on your estate, providing maximum value to your beneficiaries. 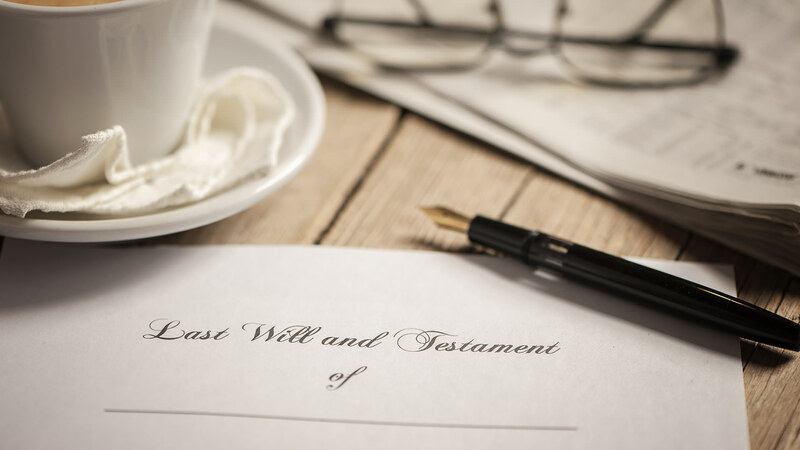 Once a Will has been written and the individual has died, the next step is the legal process of executing the Will and distributing their estate. Not only is losing someone we love an extremely distressing and emotional time, but the process itself can be complex as issues such as asset valuation and tax affairs must be considered. When executing a Will, the appointed personal representative (‘executors’) must apply for a ‘Grant of Probate’. In scenarios where an individual did not have a Will, then the person who has been appointed to administer the estate (‘administrator’) must apply for a ‘Grant of Letter of Administration’. In both scenarios, these ‘Grant of Representations’ provides the necessary authority to collect the assets. If your loved one or family member has died, complications may arise if you’re worried about the validity of their Will and you feel it does not reflect what they would have wanted. This could be due to a number of factors such as ill health, undue influence or lack of mental capacity. In this scenario, it may be possible to make an application to the Court to challenge the Will if certain criteria are satisfied. This is a highly complex area and at HSBS Law, we understand the added emotional strain during this already difficult time. We will advise on the various options and in addition to other scenarios such as an executor not dealing with the state properly. We can assess your eligibility to claim/challenge, explore alternative routes such as mediation and finally support proceeding if intervention is required by the Courts. There are a number of reasons why individuals may want to set up a trust. In some cases, beneficiaries may not be able to look after assets themselves, where a number of trusts can be created to protect their interest. This is most commonly seen when assets are left to children or those suffering from mental illnesses and ‘trustees’ are appointment to manage assets on the child’s (‘beneficiary’) behalf. In other cases, Trusts can also be created to preserve your estate for future generations so your children are provided form, tackle issues surrounding inheritance tax planning and protect your wealth / assets. ‘Trustees’ has various duties that they must exercise honestly, fairly and in accordance with the specific powers you determine. There is a duty on trustees to invest funds in their care with the view of gaining financial return for the trust, however this must be done with proficiency and care. At HSBS Law, we understand the technical & time complexities and tax implications of the various Trust options. We will work with you to identify and establish the most suitable course of action for your individual situation. Although we do not like to think about it, a day may come where we are unable to manage our affairs. This may be due to a number of reasons such as accidents, age or ill health which results in mental or physical impairments. Whatever the scenario, this places extreme pressure on family members as they try to guess what actions you would’ve taken in certain situations, in addition to expensive Court fees. At HSBS Law, we are able to both prepare and register a legal document known as ‘Lasting Power Of Attorney’ which helps to ensure you financial situation is handled in your best interest. This document will appoint a trusted family member or friend (‘Attorney’) to manage your personal & financial affairs in the event you are unable to do so. When completing a Power of Attorney, there are two different types. The ‘Property & Financial Affairs Lasting Power of Attorney’ enables decisions to be made regarding your property and financial (such as investments, pensions etc). ‘The Health and Personal Welfare Power of Attorney’ enables decisions to be made regarding your health and welfare (such as medical, social care, housing arrangement etc). If you’re looking for a Will & Probate Law Solicitor in Slough (Berkshire) and Hounslow, please contact us for a free legal advice consultation. Let us assess how we can help you.